The Wildwoods, NJ – Expedia, one of the top travel websites, has announced that the Wildwoods have been named among the best places to travel in 2018. Expedia determined the top destinations each month of the year based on points of interest, events, weather, and all-around appeal. Five destinations were named for each month and the Wildwoods made the list for the month of May. 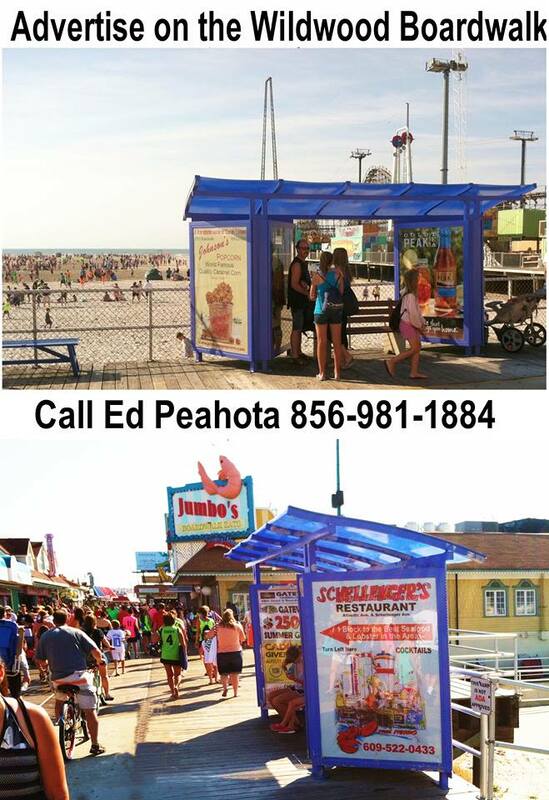 “We are delighted to be recognized by Expedia as one of the best places to travel in the month of May but we also feel that any month in the Wildwoods is filled with so much to see and do,” said John Siciliano, executive director/CFO of GWTIDA. “May does mark our unofficial start of the summer tourism season, and the Wildwoods offer lots of fun and excitement without the summer crowds,” he continued. During the month of May, the Wildwoods come to life with the start of its summer events and outdoor activities. 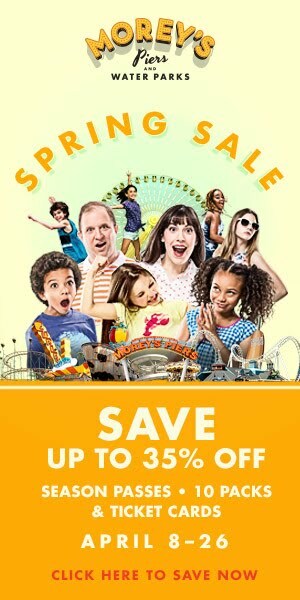 Celebrate Mother’s Day at Morey’s Piers, participate in an island wide Murder Mystery Weekend, view and admire an incredible collection of hundreds of classic and vintage cars and trucks on the Wildwoods Boardwalk at the Spring Boardwalk Classic Car Show, or gaze at kites from around the world at the International Kite Festival, the largest kite festival in North America. These events and so much more occur every weekend in May in the Wildwoods. While you are vacationing in the Wildwoods you can also take advantage of the Wildwoods’ ‘Bikeability’ all season long by biking along a scenic 12-mile round-trip bike path – expanded recently and now stretching from the Wildwood Crest Dunes Bike Path, up onto the Wildwoods Boardwalk to North Wildwood’s Mulberry Bike Path to the North Wildwood Sea Wall, allowing Wildwood vacationers the option of a leisurely, or athletic, scenic bike ride along the oceanfront. 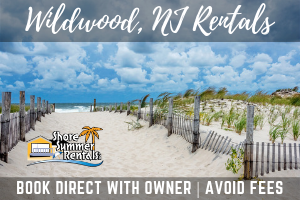 The Wildwoods’ beaches, often named “Best Beaches in New Jersey,” stretch for five miles across the shores of North Wildwood, Wildwood and Wildwood Crest, and the Wildwoods’ sparkling, clean beaches are unlike most seashore resorts in that they are spaciously wide and completely FREE. They are the perfect spot for swimming, soaking up the sun, relaxing or taking a leisurely walk on a hot summer day. For those looking for some adventure, the Wildwoods’ beaches also serve as an ideal location for surfing, boogie boarding, power boating, jet skiing, sailing, kayaking and whale watching. For those looking for activities of the calmer variety, the Wildwoods are home to some of the most distinct and interesting wildlife and plant life only found on the winding dunes and salty shores of southern New Jersey. An assortment of ecological wonders, especially in wildlife management areas, make the Wildwoods home and provide the perfect outing for visitors looking to explore and learn more about the shore’s one-of-a-kind ecosystem. Visitors can explore and discover the wonderful world of nature including dolphins, waterfowl, fish and other sea creatures. Keep your ears open for wild birdcalls, dolphins splashing or the echo of waterfowl in the nearby wetlands – you just might catch a glimpse! Fishing, a favorite seashore pastime, is also a great way to have some fun and enjoy the island environment. A fishing pier on the Intracoastal Waterway – known locally as "the back bay" – at Sweetbriar Road in Wildwood Crest is a popular fishing spot for island natives and visitors alike, and there are beaches along Hereford Inlet in North Wildwood where fishing enthusiasts gather to surf fish. Crabbing is another beloved shore activity commonplace along the tidal marsh areas on the west side of the island. Those looking to catch their evening crab feast are frequently spotted along the wetlands area entering the island; at street ends; or on docks along the back bay. Overlooking the pristine beaches of the Wildwoods is the famous Wildwoods Boardwalk, offering a unique experience for anyone vacationing in New Jersey. 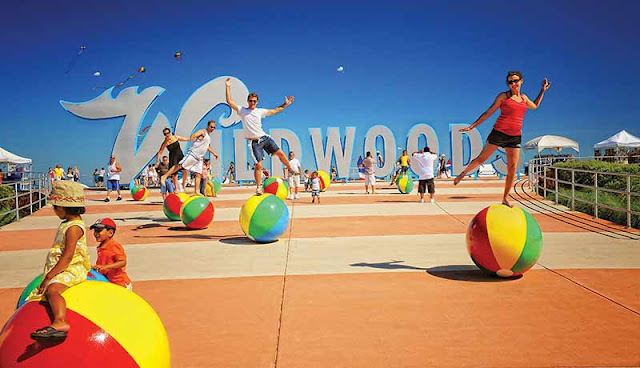 Along with over 8,000 hotel-motel rooms and 3,000 rental properties priced for every budget, the Wildwoods offer a little something for everyone; with FREE events, FREE beaches, FREE fireworks and FREE live music all summer long. Whatever you’re looking for in a family vacation experience, you’ll find it in the Wildwoods. For Expedia’s complete list of Best Places to Travel, visit www.viewfinder.expedia.com.